Guava is a traditional flavor from the Miami area specially inspired by its people. It has “Caribe” written all over it! The cheese cream top will make you crave it. You can smell the guava’s freshness before your first bite, and let’s be honest, we all crave “pastelito con guava y queso” even if you are not Cuban. 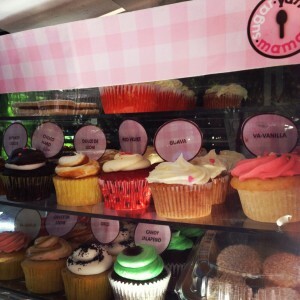 Sugar Yummy Mama’s recipe makes Velveteen a popular option for every palate. There are many recipe variances for Red Velvet and cultural connections. Each recipe varies according to each state…but who really cares?! Velveteen with its delicious cream cheese topping is always part of each orders! A fun-classic vanilla butter cake topped with creamy chocolate buttercream. It is an explosion of cocoa and moist buttermilk, topped with creamy vanilla butter cream. pina colada: delish pineapple infused cake filled with pineapple marmalade and topped with cream cheese. black tie: It is an explosion of cocoa filled with our moist vanilla buttercream, topped with creamy chocolate fudge. real royal oreo: with almost the same enjoyment of licking the creamy filling, eating the chocolate cookie outside and dipping it oreo in ice cold milk…sounds fun right? is true! is a fantastic oreo cake with real oreos buttercream. choco hard: delicious chocolate cake, topped with creamy vanilla buttercream and dipped in an excellent chocolate ganache. monkeylicious: you will go bananas!! is a fantastic banana cake topped with nutella! can you believe it?! 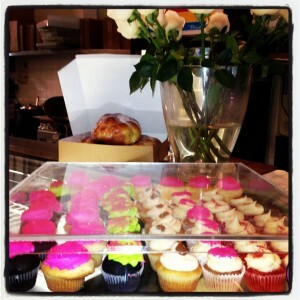 dulcita de leche: fantastically delish option not too sweet!! moist poundcake filled with dulce de leche (caramel) and vanilla buttercream with a swirl of Dulce de leche. pinky bacon: using the delicious Venezuelan chocolate combined with crunchy bites of organic bacon and apples, this is an option to die for, the final touch? a creamy maple syrup and cream cheese. va-vanilla: a fun-classic vanilla butter cake topped with our original vanilla buttercream frosting. va-va-vanilla: a fun-classic vanilla butter cake with delicious and creamy vanilla pastry cream topped with our original vanilla buttercream frosting and white chocolate dipping! naughty nutella: this fantastic cupcake is made out of our Mexican vanilla cake filled with sinful nutella, topped with our amazing nutella buttercream and stripes of pure chocolate ganache. candy jalapeno: this is a unique chocolate cake with chucks of jalapeno! For a real meros machos! berry berry yummy: is our only one of a kind strawberry pleasure. Cake filling in a very very strawberry way! A delicious cup-cake strawberry flavored, filling and top all very very strawberry! lovely lemon: this is a unique key lime lemon cake filled with our key lime curd, topped with a lovely lemon cream cheese. ALL perfectly balanced for your enjoyment. coco loco: this silky coconut cupcake is filled with our unique bavarian cream and is topped with cream cheese and organic un sweeten coconut flakes. peanuts4U: Unbelievable chocolate cake combined with reese’s peanut butter chunks and organic peanut buttercream. VEGAN CUPCAKES: Part of our Water Yummy Mama line, we developed vegan (dairy free) and gluten free (wheat free) alternatives to satisfy all palates. Only available in minis or cakes.